Remote control dinosaur that automatically switches from a T-Rex to a racer! 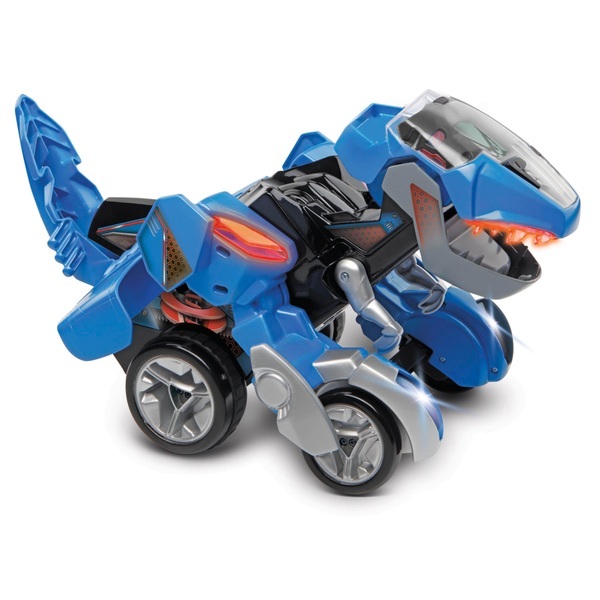 Dash the T-Rex is a remote controlled dinosaur that automatically switches between a T-Rex and racer! Customise Dash by choosing from a selection of dinosaur eyes and drivers displayed on the LCD screen. Buttons activate fun phrases, dinosaur facts and sound effects. Dash switches with the press of a button!